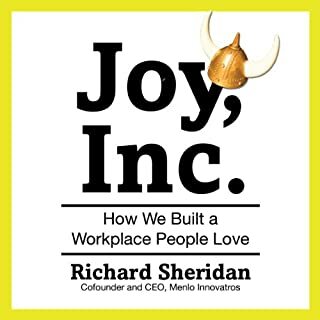 Joy, Inc. offers an inside look at how Sheridan and Menlo created a joyful culture, and shows how any organization can follow their methods for a more passionate team and sustainable, profitable results. Sheridan also shows how to run smarter meetings and build cultural training into your hiring process. Joy, Inc. offers an inspirational blueprint for listeners in any field who want a committed, energizing atmosphere at work - leading to sustainable business results. Change your culture learn from this team. Rich Sheridan is truly bringing joy to his people. New York Times best-selling author Jon Acuff has drawn millions of online fans who love his refreshing mix of humor, honesty, and wisdom about the world of work. Now he offers his most important audiobook yet, a guide to making big career changes - by choice or necessity - and escaping the horrible feeling of being trapped in the wrong job. Having previously listened to Quitter and Start. I can unequivocally say that Jon Acuff has written/red his best book so far. I hope that Jon never gets either too busy or to big to read his own books. 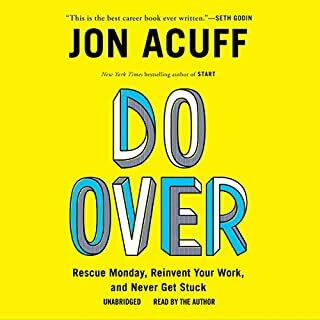 Do Over is a great book to read and work with.